Have you ever had trouble aiming your bow because of your bow sight? Some of my earlier sights were made of bulky material that added unnecessary weight to my bow. This slight weight difference may appear trivial, but it can spell the difference between a successful and a failed shot. I think the Spot Hogg Fast Eddie & Fast Eddie XL is a great answer to this problem. Had I owned either bow sight before, I would have had an easier time aiming my bow because both sights are so lightweight. Fast Eddie or Fast Eddie XL? 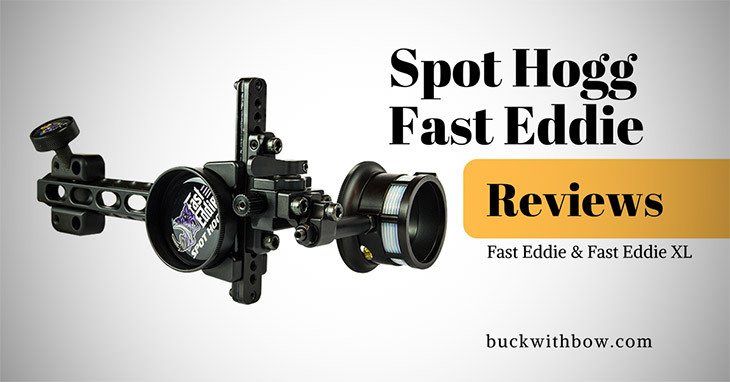 The Fast Eddie claims to be the lightest model in the Spot Hogg bow sight collection. Not only is it very lightweight, it also comes in a sleek design that is easy to use. 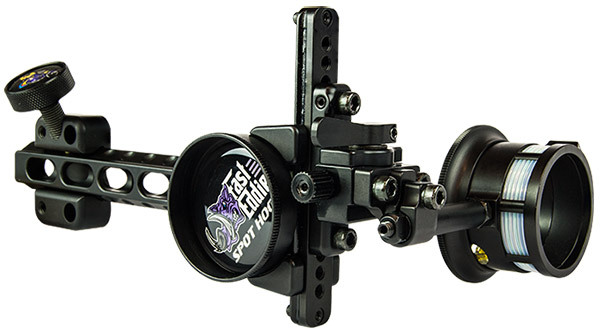 This bow sight can be a good accessory to your bow if you prefer the sight to be close to your riser. If you want it to be a bit farther away, you may want to check out the Fast Eddie XL version instead. The Spot Hogg Fast Eddie XL features everything I love about the original Fast Eddie model. 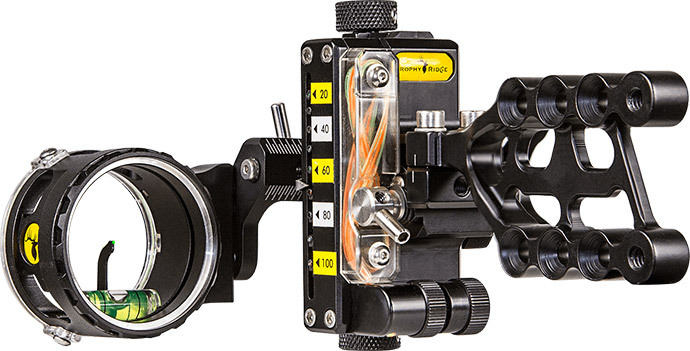 The main difference is that the XL version comes with a dovetail mounting system. 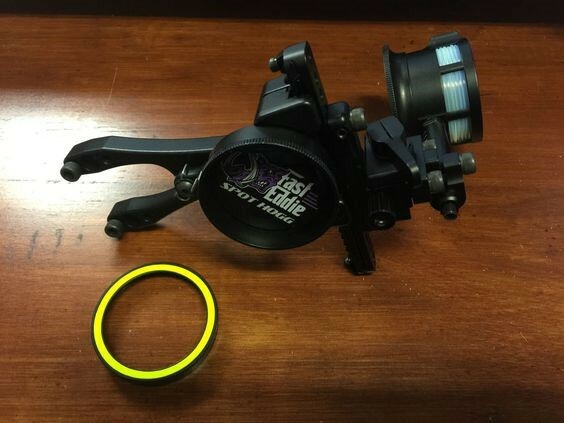 If you are more comfortable with the sight far away from the bow’s riser, then this might be a good sight for you. If you want it closer to your eye, then you can check out the original Fast Eddie model instead. Before deciding on a single pin sight, it’s important to check how accurate it is and how easy you can adjust its settings. A good pin sight must be lightweight but durable and should be made of high-quality materials. You should also consider the right pin size for your needs. A .019” pin is ideal if you’re just starting out as a bow hunter. If you want a more accurate aim, you can try the .010” pin. If you want a more visible pin in low-light settings, you may want to use the .029” pin instead. 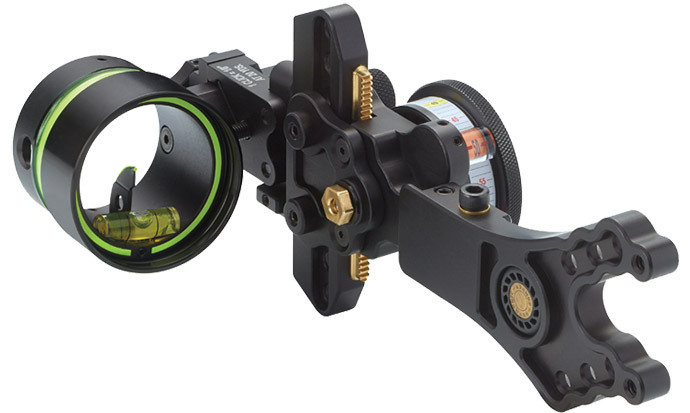 You can choose from two versions of the same lightweight Spot Hogg bow sight - the original or the dovetail version. We’ll discuss other features of the Fast Eddie below, but right now I’d like to focus on the Fast Eddie XL for a bit. The Fast Eddie XL comes with a 6-inch dovetail bracket, which allows you to move the sight farther away from the riser of the bow. When the bow sight is farther away, I find that it improves my aim because the pin covers a smaller area of my target. What I also love about the Fast Eddie XL is that the dovetail can be attached to the riser via a quick release knob. This means less time setting up the bow and more time catching my game. Lastly, because the dovetail is detachable, it is easier to store your sight with your bow during your travels. You don’t have to worry about the sight sticking out and possibly breaking during your trip. The Fast Eddie and Fast Eddie XL are considered the lightest models in the Hogg Mob series. At 0.8 and 1.2 pounds respectively, they add very little to the total weight of your bow. If you think this weight is insignificant, remember that even the smallest difference in weight can affect your aim. The big improvement on weight is the result of a change in design. Spot Hogg took out several dispensable parts from the sight so that it became smaller and more compact. One example of this is removing the box for the gears, which shaved off a few micro pounds from the total weight. However, the bolts and other parts are not so small that they affect the strength of the sight. In fact, the two Fast Eddie models are made of a combination of plastic and aluminum parts, making the framework lighter but still heavy duty. The only issue I have with this is that the new design exposes the gears to outside elements. This means that there is a possibility that the gears might catch a small twig or leaf during my hunt, which might jam my sight’s controls. 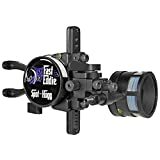 Both the Fast Eddie and Fast Eddie XL have a quick release break which allows you to turn the yardage knob infinitely. You can lock it as tightly or as loosely as you want simply by giving the knob a quick turn to the left or to the right. They also have a tool-less micro horizontal windage adjustment, so you don’t need to carry an Allen wrench in the middle of the woods. Sadly, the windage adjustment makes a soft sound every time you make an adjustment, so consider setting it up at the camp and not in the actual hunting area, because you might scare your game away. I believe that a bow sight is only as good as its pin, and the Fast Eddie models do not disappoint. Both the single pin and double pin versions are very durable so you don’t need to worry about breaking them during your hunt. I also find that the .019” pin is super bright, even in extra dark surroundings. The .010” pin is dimmer, which is expected because it has a smaller diameter and can transmit less light. But even that can be easily remedied by using a rheostat light. If you’re asking why a single pin sight has two pins instead of one, then Spot Hogg has a good answer to that. The second pin is actually fixed and gives a specific yardage depending on where you set your first pin. For example, if you set your adjustable pin to 20 yards, your second pin will automatically be set at 35. I find this helpful when I am chasing a moving target because I don’t need to recalibrate my pin before I take my next aim. I just have to move my focus on the second pin and my aim will remain accurate. It’s like having a multi-pin sight but without the hassle of setting up different pins or having the pins clutter the view. I think the multiple rings are a great innovation made by Spot Hogg. The idea for this came from the fact that your view of the peep changes depending on your lighting conditions. So if you’re in low light, you see more of your peep but you will see less of it in a brightly-lit area. This can affect your focus, making you shoot sloppily instead of accurately because your eyes haven’t adjusted to the sudden change in lighting. To eliminate the stress that might come from these sudden changes in lighting conditions, Spot Hogg invented the multiple rings system. The colors in the ring allow your eyes to adjust so that you automatically focus on the interior when you’re in bright light and the exterior when you’re in low light. The Spot Hogg Fast Eddie models are lighter than the Trophy Ridge React One Pro. However, I find that the latter is easier to use, especially if you’re still a beginner bow hunter. I find that the React One Pro has a more compact design, especially its hunter bracket version. 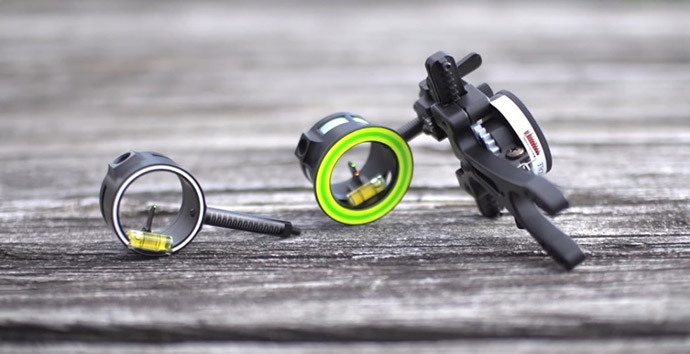 This makes it a good choice if you want your pin sight’s functions placed closely together. If you think Spot Hogg already has many add-ons, then you might be surprised with the bonus features of the HHA Kingpin models. I like its wheel forward design because it makes mounting quivers easier. It also features exchangeable wheels and a sight tape magnifier so you can easily read your yardage lines. Both the Fast Eddie and Fast Eddie XL are super lightweight so they add very little weight to your bow’s total mass weight. This makes it easier to carry the bow in camp and to aim it during the hunt. Both models have a tool-less adjustment system that is very easy to operate. 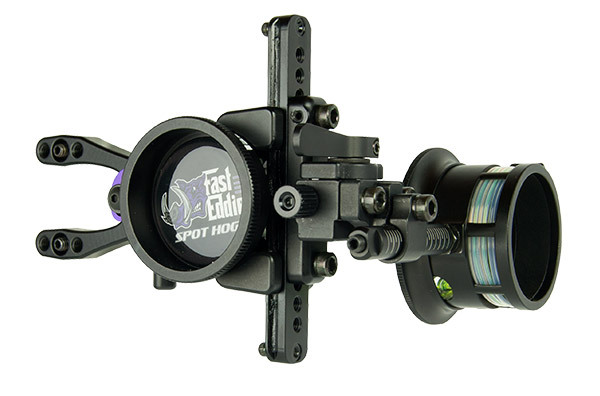 They also come in single and double pin scopes, giving you a more accurate view of your game.